The jeepney is quintessentially Filipino, so there’s no better icon to welcome you to our office. These loud and colorful converted jeeps are the most popular way to get around the country. 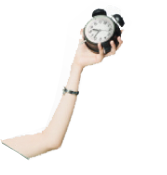 Having fun is all part of a day’s work. 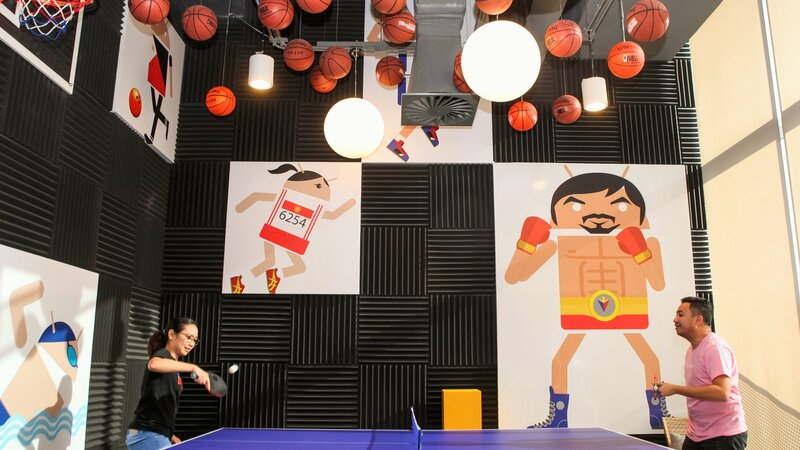 We encourage Googlers to bond and get to know each other over a friendly game of ping pong, with stars like champion boxer Manny Pacquiao looking on. Our spaces are built to encourage creativity and make collaboration easy — after all, that’s how the best ideas come about. 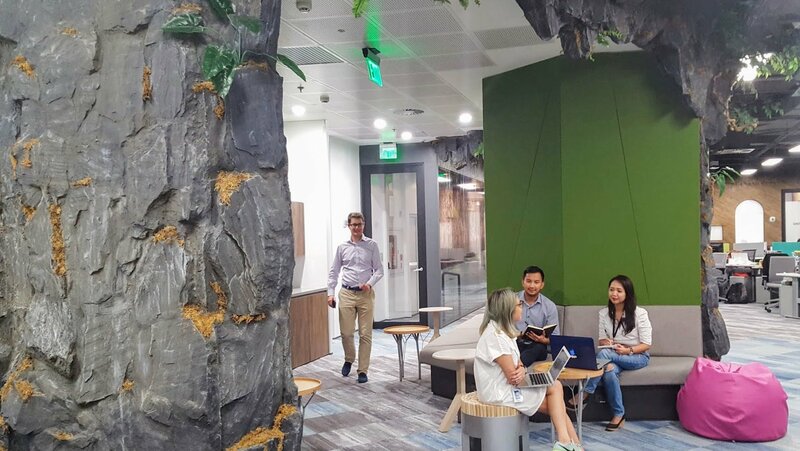 Here’s one of our common areas inspired by the Tabon Caves. These are just some of the exciting ways in which Pinoys are using the Internet, and how we’re working with them to make the most of it. But we want more people around the country to be able to take advantage of the opportunities that the Internet offers. 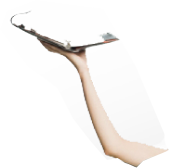 With nearly two in five Filipinos still offline, we think we can play a role here. 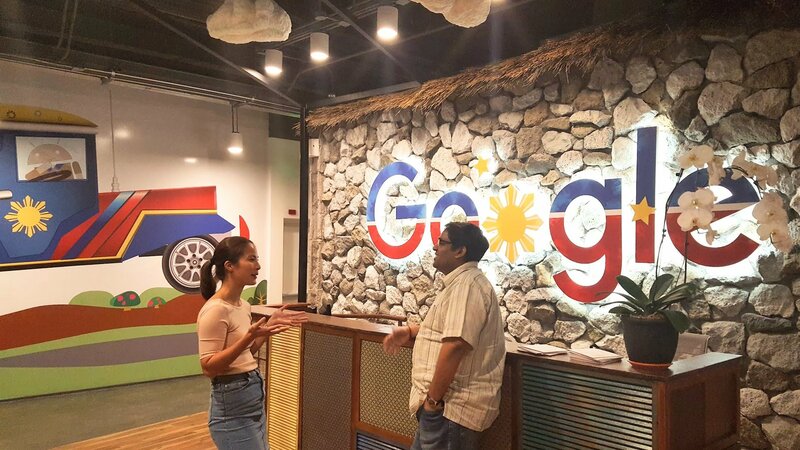 This is why we’ve announced that Google.org is supporting DigiBayanihan‘s efforts to bring basic ICT skills to 1 million Filipinos across Visayas and Mindanao. By training so-called “digibayanis” (or digital heroes), we hope to increase digital literacy in hard-to-reach places, and build a more inclusive online environment.